Blue surgeon caps that feature traditional tie-on styling. Uses comfortable material that is ideal for extended wearing during surgeries. One size fits most. Sold 100 per box. 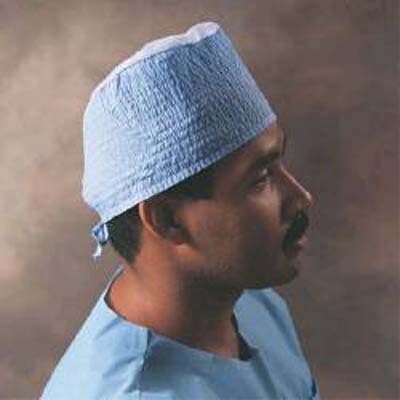 Halyard surgeon cap is made from blue Kaycel material, and has adjustable fastening ties. Best suited for use in situations where there is no fluid contamination anticipated. Non-sterile. 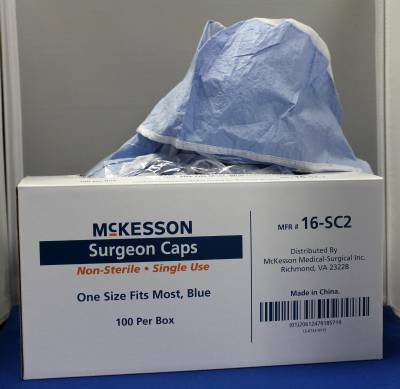 McKesson surgeon cap is made from blue scrim-reinforced, soft and absorbent material, with wide panel sides, ventilated crown, and adjustable fastening ties. Non-sterile and latex-free. 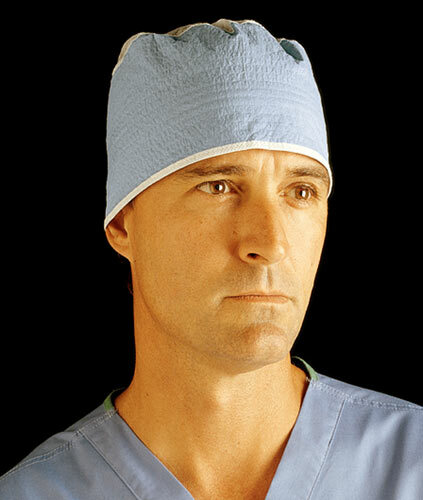 Cardinal blue nonwoven cap features traditional tie-on styling, providing you with a comfortable fit without binding. Features absorbent non-sterile polyester top for breathability and comfort. Contains latex.